We invite you to join us on our journey to optimal health – a path where a healthy body starts with a healthy mouth. Dr. Ho and her team are committed to providing you and your loved ones with the highest level of dental care in a pleasant and comfortable environment. Your needs will always come first and you will always be cared for with our undivided personal attention and compassion. 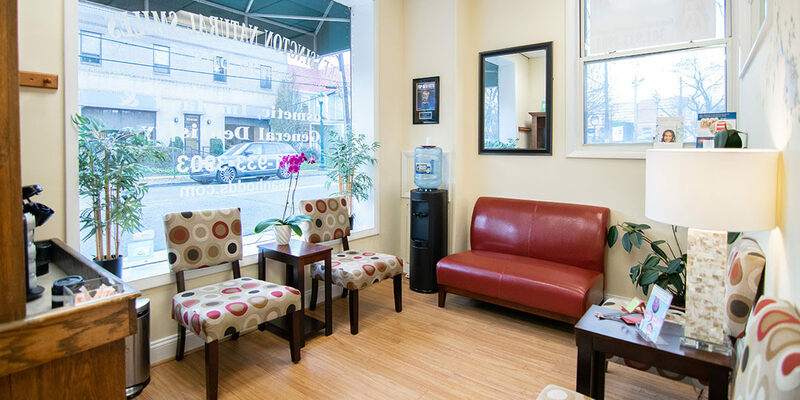 Kensington Natural Smiles offers a full range of dental treatments to help you achieve your perfect smile, such as general and cosmetic dentistry, teeth whitening, crowns, dental implants and most importantly, preventive care. We utilize the latest in dental technology and techniques in order to offer you the best care in the Kensington, Bethesda, Rockville, Chevy Chase, and Silver Spring area. A healthy body and mouth can be yours. Let us help you achieve optimal health by starting with a healthy smile! If you haven’t already scheduled your appointment, please give us a call today or click the button below.